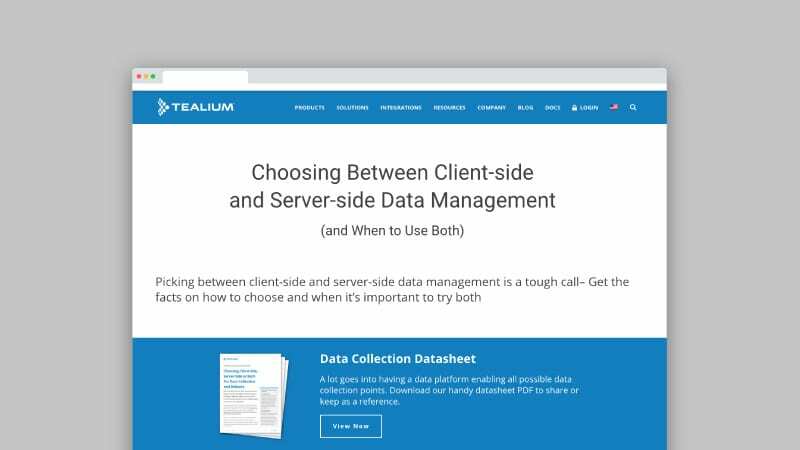 A Unified Approach— Correlated From the Start – A single data collection strategy prior to distributing data across your tech stack creates numerous significant advantages. Less post-processing of data is required because data is correlated at collection instead of after. Data is standardized up front, as it’s collected per your rules, to enable easier re-use across tools. 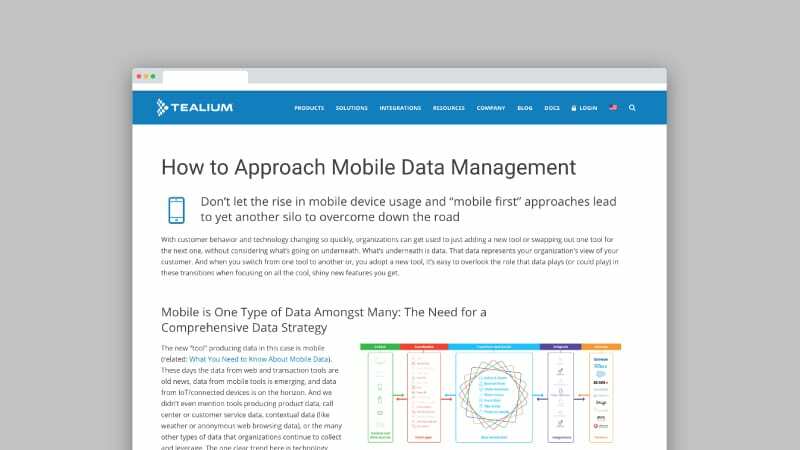 Enable the Organization to Use Mobile Data— Reduce IT Requests – Data that is easy to use benefits an entire organization. Once setup, marketers can leverage data without requiring lengthy IT requests. IT can focus on building high-value functionality instead of tedious and repetitive integrations. And business intelligence pros can analyze and use the same data as the rest of the business. 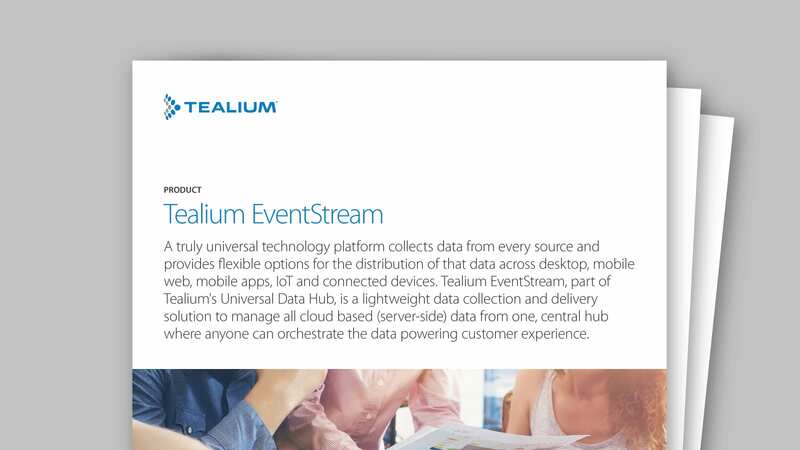 Stream Data Wherever You Want— All of it, or just a subset – The capability to stream all data or any subset of that data to various execution systems in real time is a significant advantage. 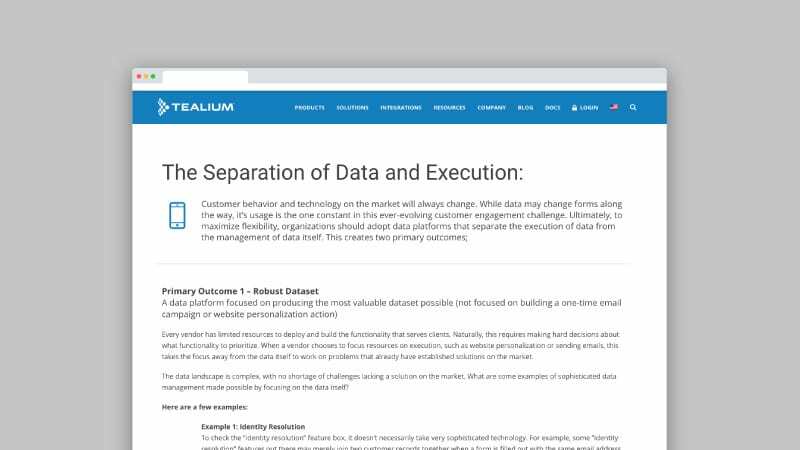 These execution systems could use the data to power customer engagement actions (emails, ads, personalization, etc.) or for further analysis or visualization of the data (analytics systems, data lakes, data warehouses, etc.). The more data destinations (just like data sources), the more valuable the data supply chain.